Design ID#716 - Dreams do come true! 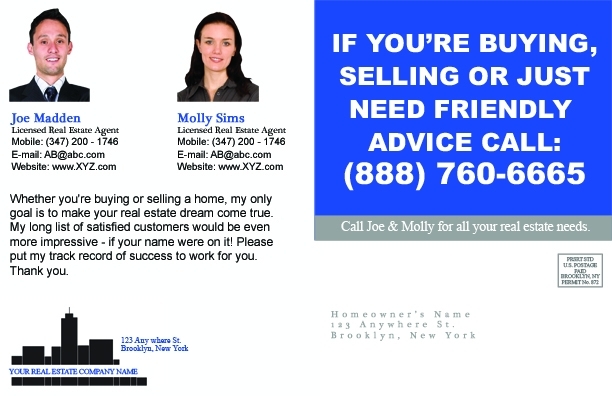 This post card gives your customers and prospects the ultimate luxury... peace of mind. 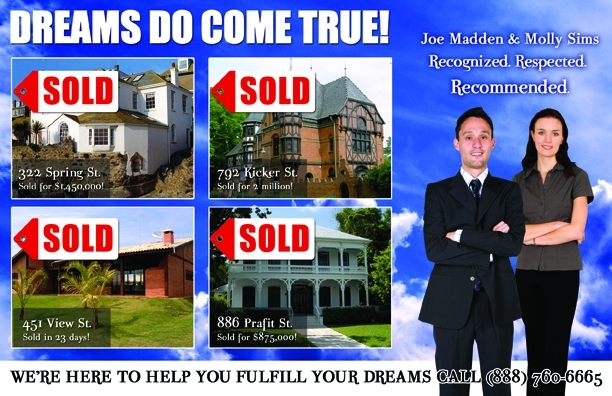 Simple, yet powerful, this post card is sure to illustrate your personalized service and commitment to your customers while proving you have the skills to sell their home! *features 4 property photos.